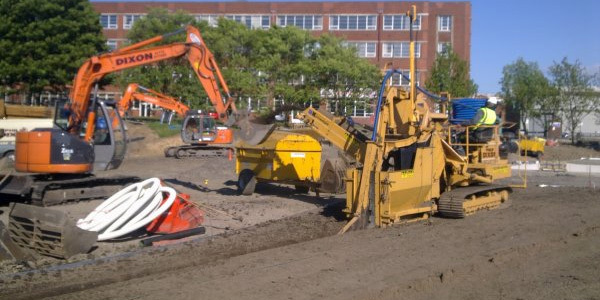 Working across the North West of England over the last 30+ years, we have completed a wide range of land drainage and associated projects for Schools and Colleges. 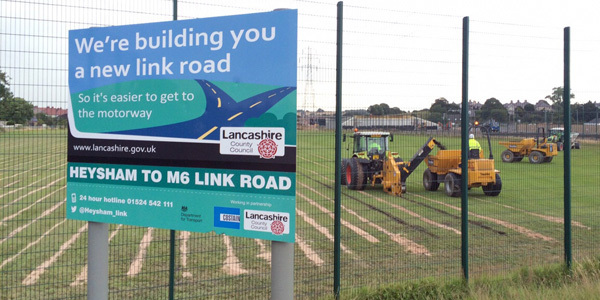 Our client base for this work has ranged from directly working with the School/College to working with the local authority – Blackpool, Blackburn with Darwen and Lancashire County Council, as well as sub contracting on new builds with civil engineering companies. 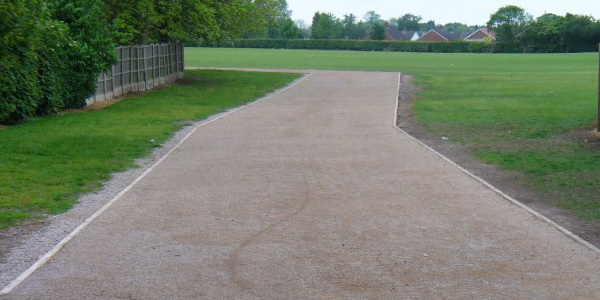 We have been on Lancashire County Council’s Schools Sportsfields Improvment Programme over the last 9 years. 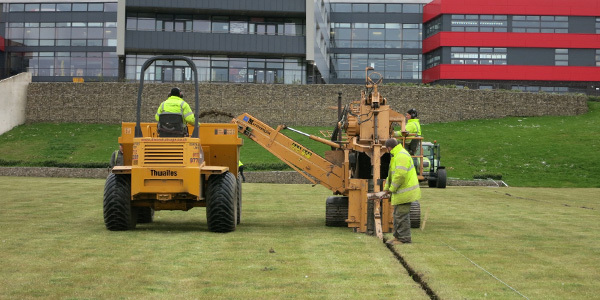 To help illustrate the scope of works we undertake for Schools and Colleges we have selected a range of photographs below with further information. St Stephen’s Primary School, Blackburn with Darwen. 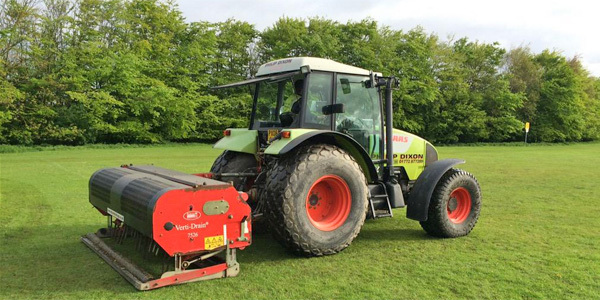 Primary Drainage – Installed using a tracked laser grading trenching machine to minimise damage to existing playing surfaces. 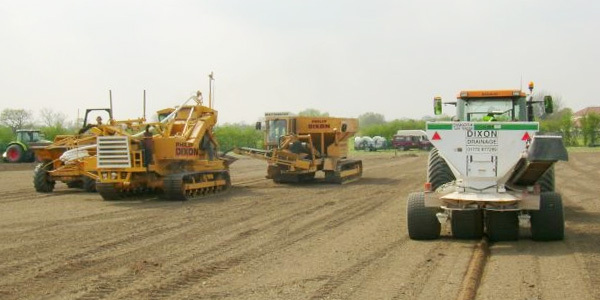 Secondary drainage – Slit drainage (sometimes known as sand slitting). 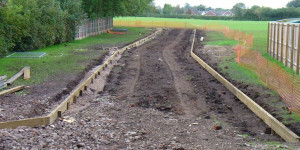 This type of drainage is undertaken to allow instant drainage into existing primary drainage systems, therefore minimising the chance of surface water accumulation. Sandbanding – The Blec Ground Breaker and Sand Master relieve compaction and installs a secondary drainage system of sand bands to link directly to the underground drainage system. 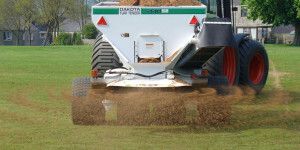 Another method used to relieve compaction is to use a Vertidrainer. This punches holes to aerate the ground and in addition encourages root growth. 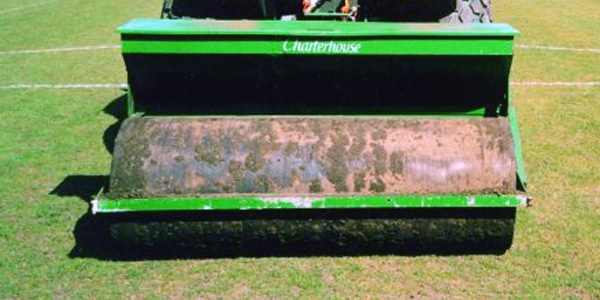 Topdressing – The application of topdressing sands assists the surface drainage. Works well when done in conjunction with vertidraining. 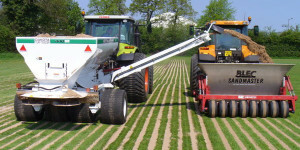 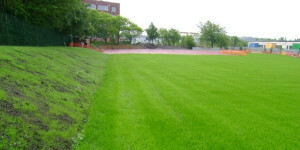 Overseeding – Overseeding is the periodic application of seed to an existing turfgrass stand to improve turf density. 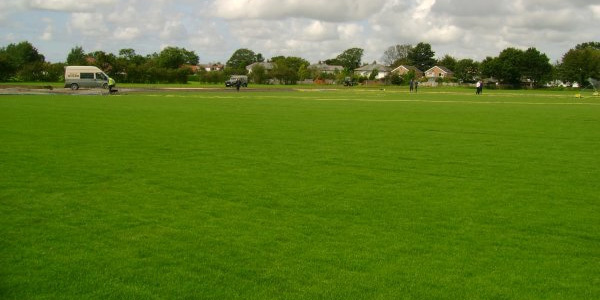 Overseeding must be done on a routine basis on high-use fields if there is any chance of providing a dense, more uniform, and safe playing surface. 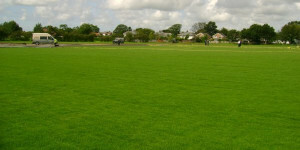 Hutton Grammar School – Construction of hard standing permeable road/track for regular use throughout the year to access sports fields. 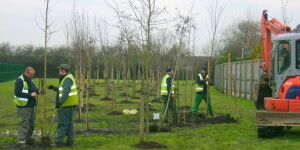 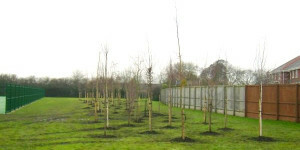 Hutton Grammar School – Planting of deciduous standard trees adhering to a designated planting scheme to create a screen. 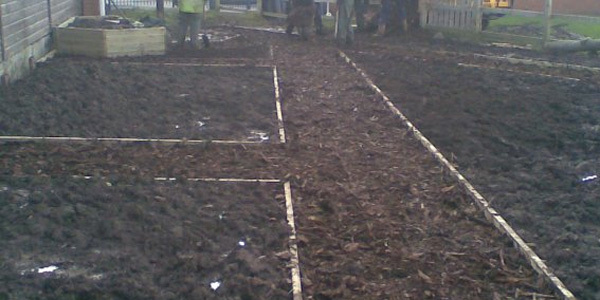 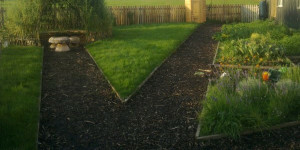 Alston Lane Catholic Primary School – An area of land was transformed into an environmental area for the Children to use. 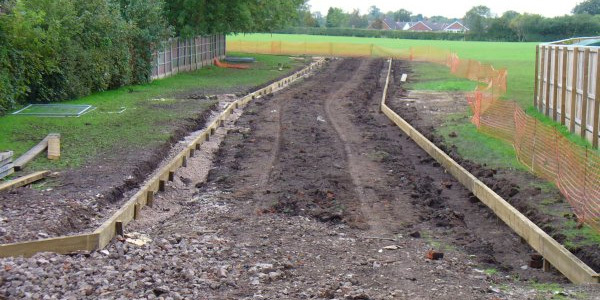 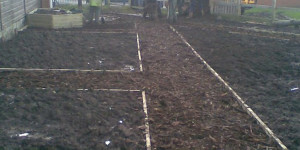 This was achieved by levelling and sectioning areas off, installing wood chip paths and creating raised vegetable beds with a wetland area.